Our drivers are our pride. You will appreciate their professionalism and their courtesy! These road enthusiasts have many years of experience and are comfortable in the harshest weather conditions, including icy roads! So hop onboard, relax and enjoy the journey. Travelling by coach is the greenest way to travel! A coach, is the equivalent as 30 less cars on the road? With a fleet of more than 50 coaches, choosing Orléans Express is making a gesture for a greener environment. 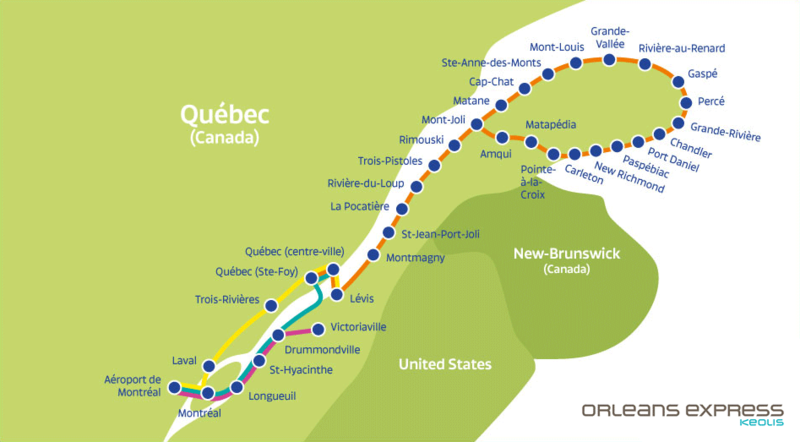 Choosing Orléans Express means travelling on reliable, efficient and regularly inspected vehicles. With more than 35 destinations served 7 days a week, 365 days per year. Where will you go? We believe that travel should be accessible to all! Some of our coaches are equipped to welcome mobility impaired passengers. Recline your seat, relax and let us take you to your destination!